Built by hoteliers for hoteliers. Guests can manage their reservation & stay through its whole life-cycle. Direct to download from the store in your property or chain brand. Managing staff, ensuring efficient operation for front of house and back of house staff. Saving time across a range of hotel operations. A complete view of your guests ensures a complete picture for marketing and positive guest satisfaction. 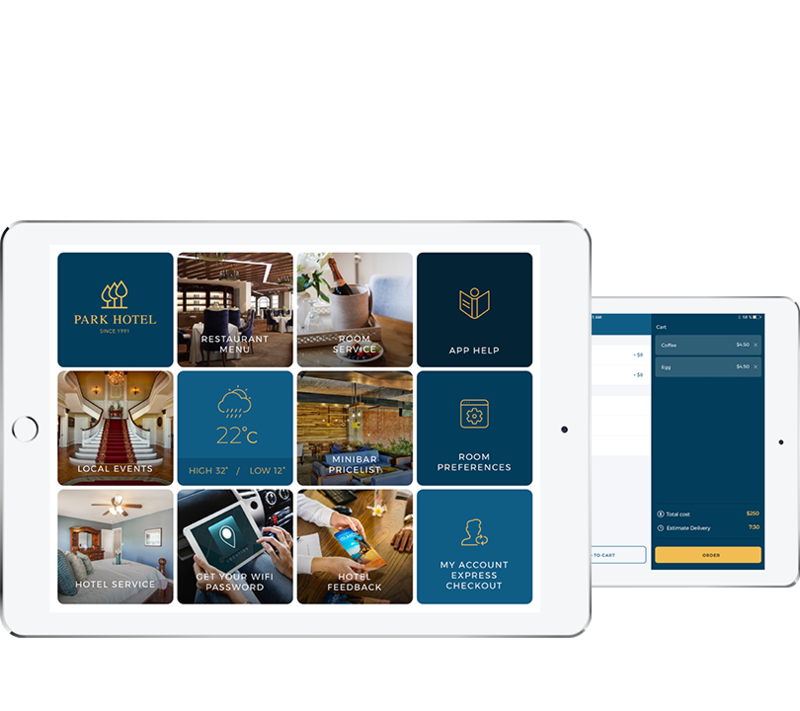 Installed on in-room tablets; guests can connect to the hotel like never before. Through guided usage or self service the guest can sign a digital check-in card confirming their details on file. Saving time at reception. Complete digital signage system managed from a single control panel. 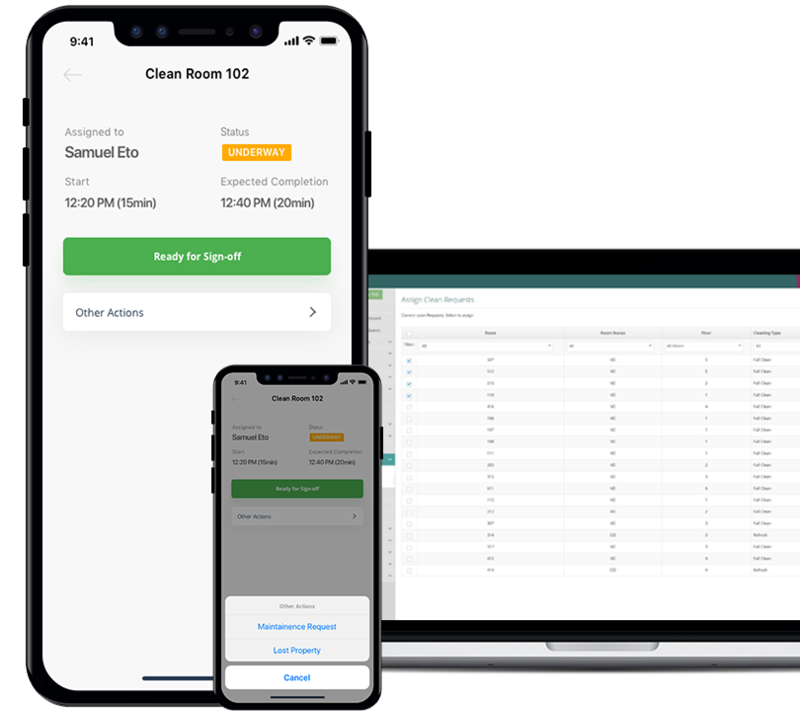 Connected integrations to events and announcements. Customised live dashboards' ensure hotel staff understand all aspects of the hotels current guests, their sentiment, requests and more. Hotel stats such as occupancy rates and revenues are also beautifully displayed. 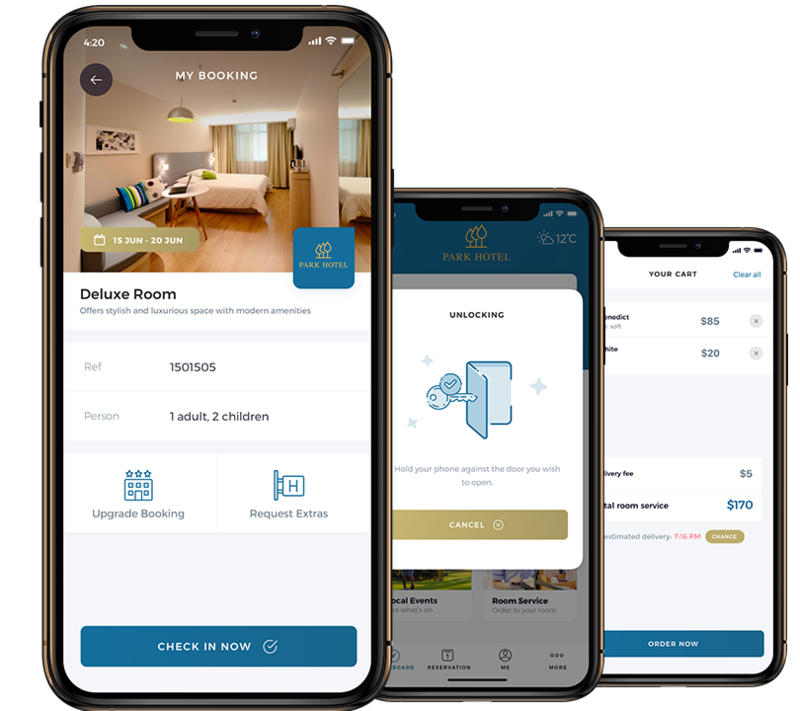 Track guests stays and spend through VIP and Loyalty review functionality, a VIP enhanced app and web options ensures guests feel like a true VIP. Self service VIP tracking and more. 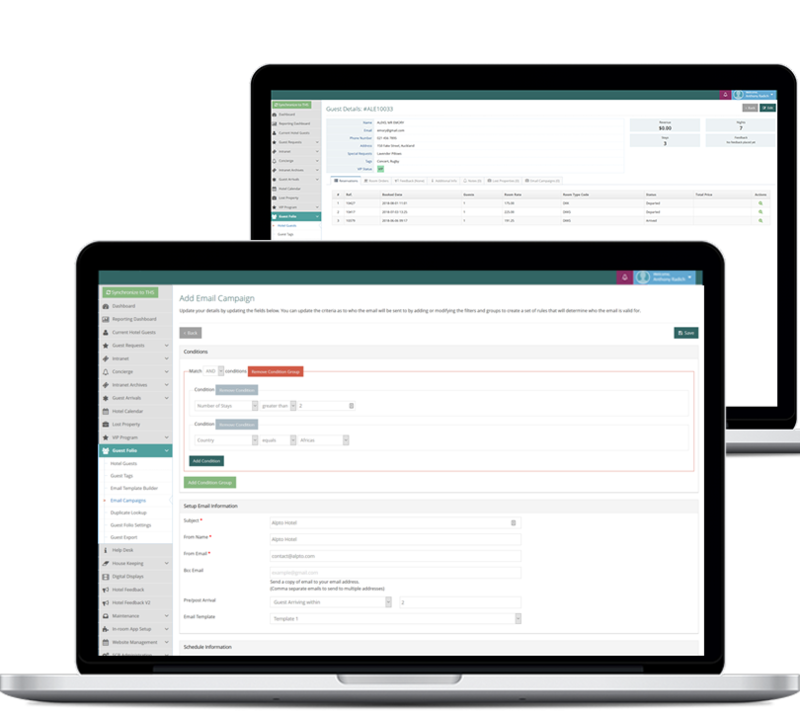 Take control of your Website with a completely integrated website solution - a mobile responsive website with a full content management system. Keep your website revenue with your own payment gateway. 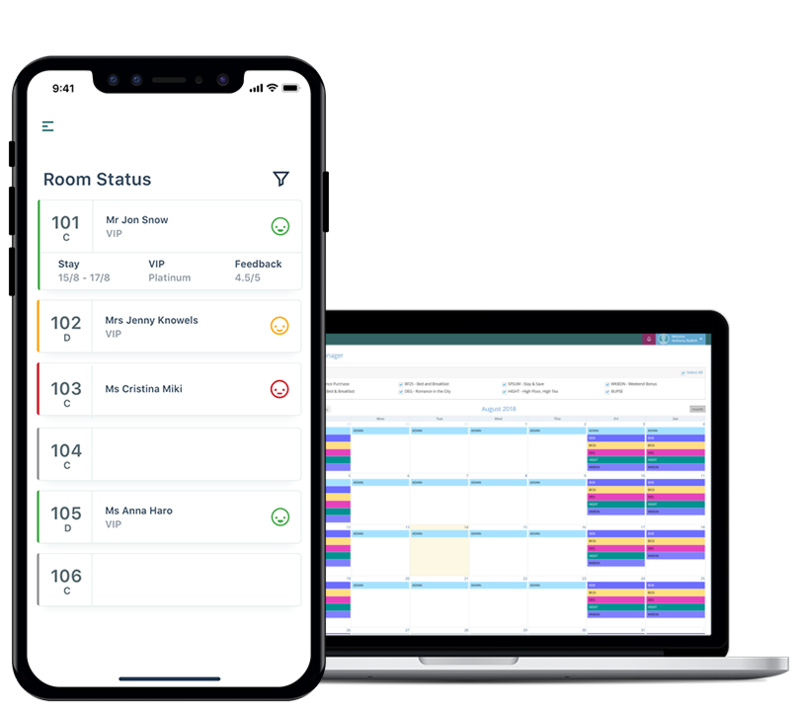 Connected guests, and hotel staff are at the core of a smart hotel, with real-time features, guest satisfaction insights and self-servicing tools, Altitude is transforming the overall hotel experience. Altitude is the future of hotels. Altitude engages staff and creates a connected environment. Easy to use apps ensure everyone's job is enjoyable and easy. Our features create time savings that can be better spent elsewhere. We're always releasing new features to ensure happy users. 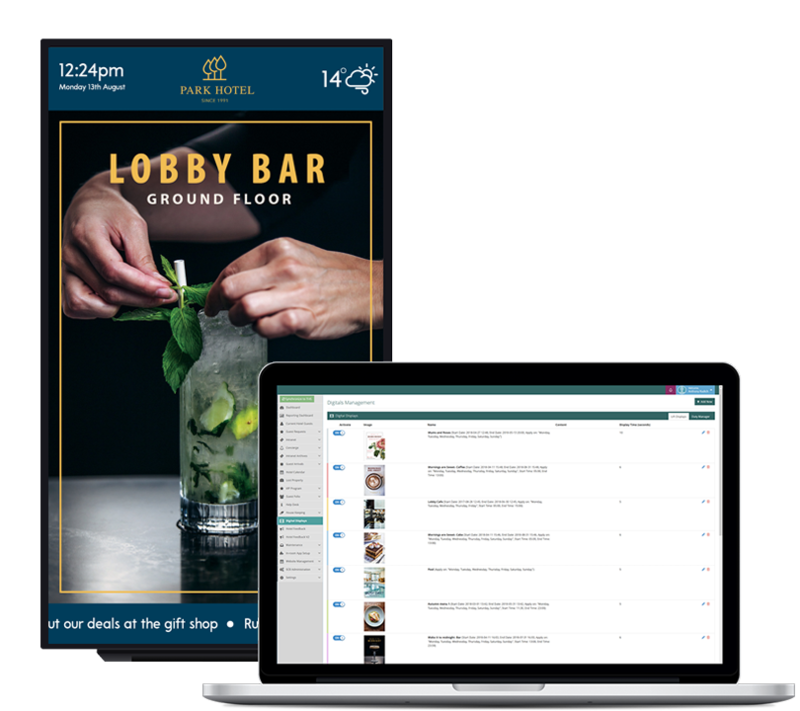 Altitude offers a selection of features which will help enhance your hotels productivity, and create more time to interact with your guests. Real-time information and requests are the core of a smart hotel. 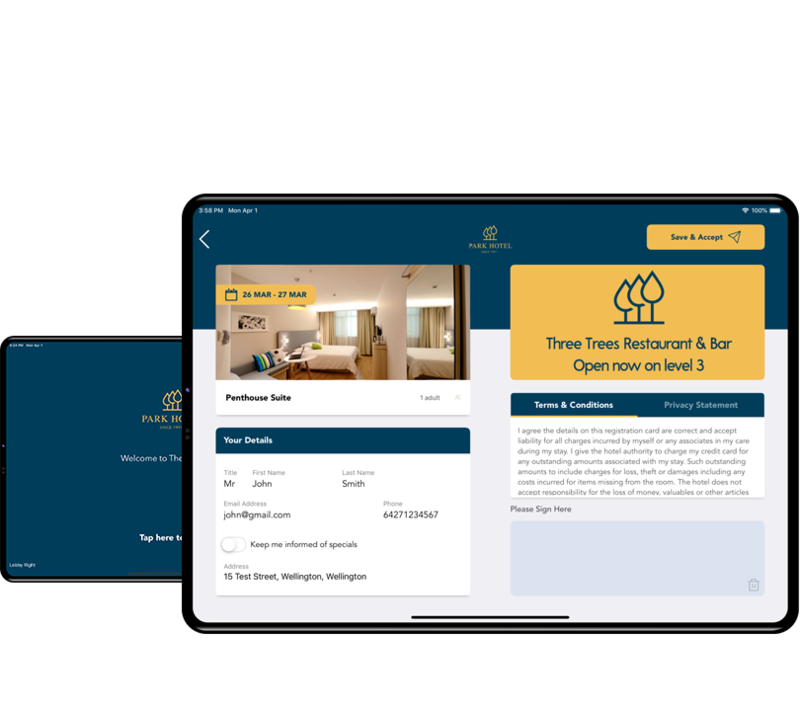 All requests through the apps in the hotel come to a central control for staff, ensuring tasks get completed to KPI's ensures customer satisfaction. 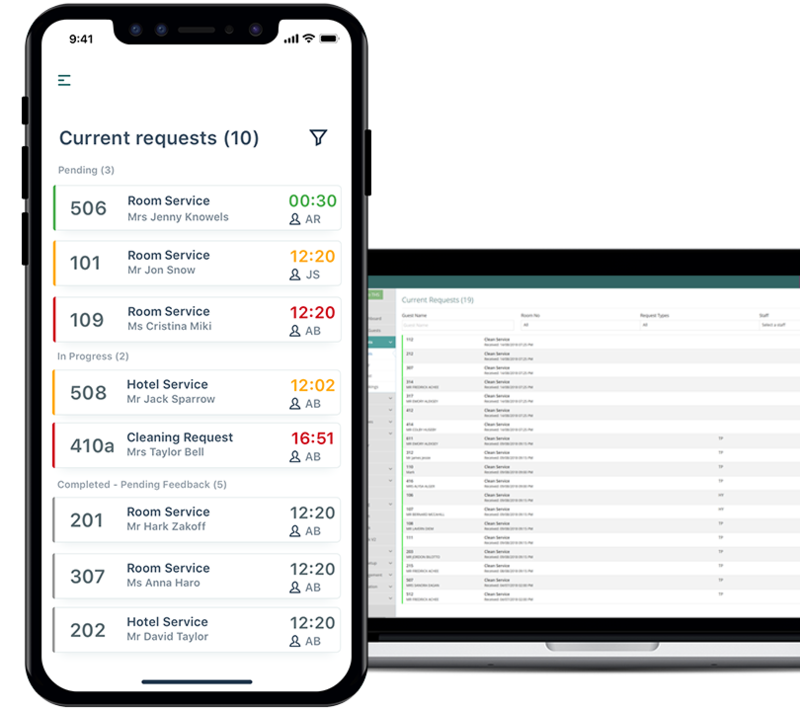 With automatically generated cleaning tasks; staff can assign rooms & floors, track KPI's, and know when to not disturb a guest through the Guest App. Track hotel maintenance tasks, staff can report issues and maintenance can track progress, complete task, take photos and more. Scheduled tasks ensure something is never forgotten.